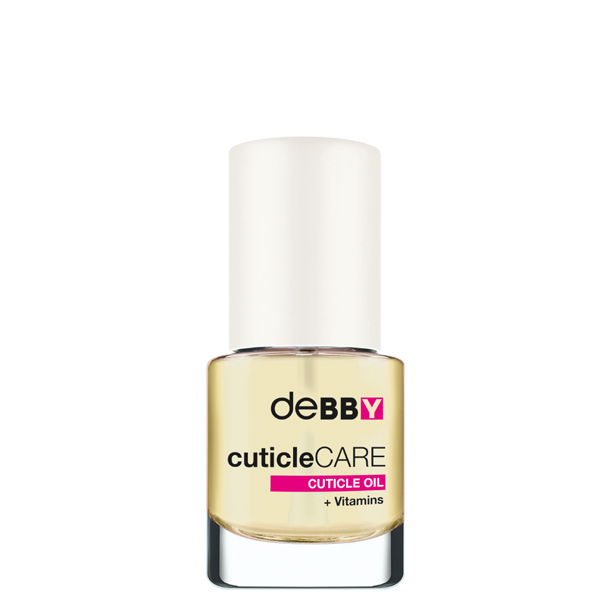 Well groomed nails and flawless manicures call for cuticleCARE CUTICLE OIL. The emollient action naturally softens the cuticles and helps eliminate cuticle build-up. The formula also contains a blend of Vitamins to regenerate nails. Apply around the nail base and rub in for a few seconds. IL 110113D INGREDIENTS: GOSSYPIUM OIL, ORYZA SATIVA BRAN OIL, ETHYLHEXYL PALMITATE, PERSEA GRATISSIMA OIL, ARGANIA SPINOSA OIL, PARFUM, PENTAERYTHRITYL TETRA-DI-T-BUTYL HYDROXYHYDROCINNAMATE, BUTYL METHOXYDIBENZOYLMETHANE, ETHYLHEXYL METHOXYCINNAMATE, ETHYLHEXYL SALICYLATE.